Discover the range of Mad Wave's printed silicone swim caps! Made of high-quality chlorine-resistant silicone, these caps are the perfect choice for regular training in the pool. The ergonomic form will ensure a precise and secure fit. 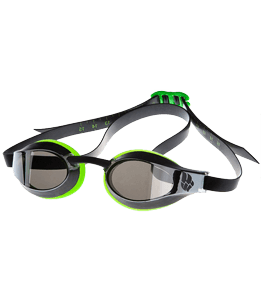 Get the most from your swim with Mad Wave's JUNIOR AQUA Goggles! The model features an ergonomic seal and adjustable ultra-soft nose bridge delivering superior comfort and accurate fit. Comes with anti-fog coating and UV 400 protection. Mad Wave's STEP Men's Slippers are the perfect choice for regular training in the pool, beach wear and leisure use! Made with durable materials, the model features an ergonomic design and a slip-resistant sole to ensure superior comfort and perfect fit!